Wonderful experience at Heihachi Tea house inn in Kyoto. Today, I took part in Japanese cuisine workshop which was held in one of the most famous and prestigious Tea House in Kyoto called Heihachi which is situated along the Takano river. 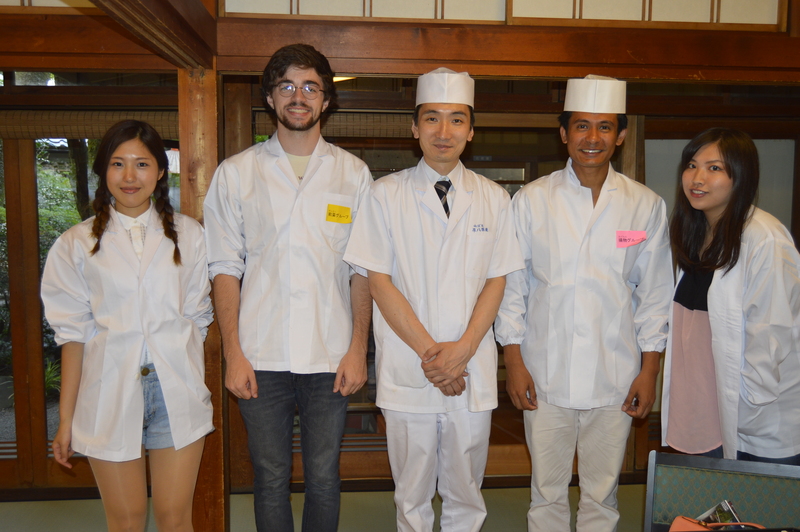 Heihachi tea house inn was founded by Mr Heihachi since last 400 years ago and the chefs who has worked there also took the name of Heihachi as a tradition. It was famous with authentic traditional luxurious cuisine, beautiful natural environments and great hospitality. The Heihachi Tea House used to serve Tea for lords, merchants, and ruling monks in the 17th and 18th centuries. The great poet and scholar, Rai Sanyo was one of the customers who used to come to Heihachi Tea House. We made “Kaiseki” which is a traditional Japanese multi-course dinner which is made by using the only fresh seasonal ingredients. At the first time, we learned about how to make the soup by using seaweeds. According to the chef, stock which was used in making soup is very important. He explained us how to make the soup and what ingredients to put in it. 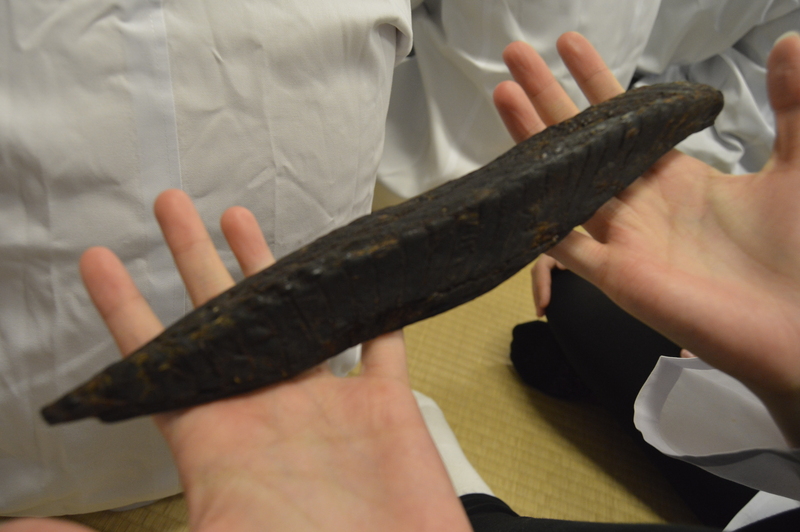 It was really interesting to know about the dried fish which was kept for one year to be ready to use. He also showed us how to cut the fish and to remove the bones with different knifes. And then we were divided into different groups and we have to cook different dishes. I was assigned into the group who makes Tempura. The main ingredients for Tempura was prawns and fishes. We used flour to keep the fresh taste of prawns and fishes and to stick other colourful rice powders on top. After rolling prawns and fishes with flour and rice powders, it was fried in the deep oil. I also fried aubergines and chillies which will go along with Tempura. 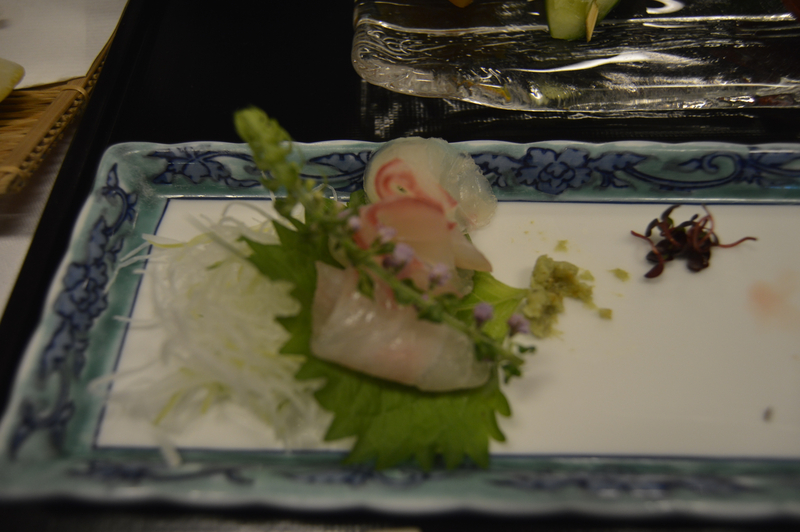 Some of my friends made sashimi and other dishes. 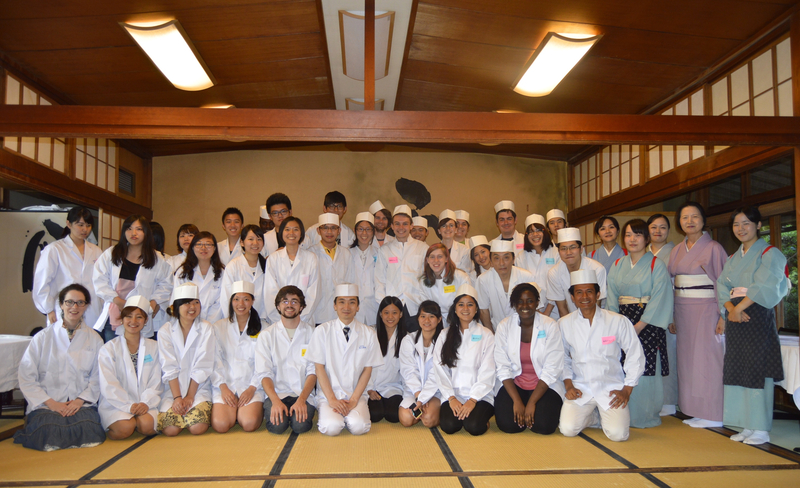 It was really a great hand on experience to make traditional Japanese food in very famous tea house. According to the chef, they prepare different kinds of dishes with the different seasonal decoration. For example, today, the chef decorated our meal with small wooden tray with green leaves in it which represent for summer season where as they will prepare mushroom in the meals using with red leaves on the tray to represent the autumn season. I think the idea is really amazing. The meal looks fantastic and the taste was wonderful. It was one of the most wonderful dinning experiences ever. 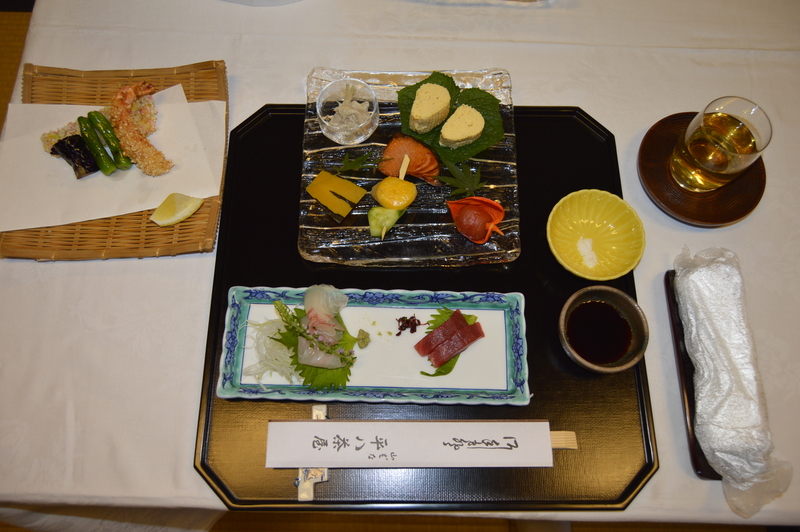 The presentation of dinner was so beautiful and the taste was so delicious. It cost 5000 Yens per person which is equivalent to sterling pound £ 29. For me it was a bit expensive but the taste was incredible. I enjoyed such an rare opportunity to enjoy wonderful dinner with friends from different country under the same roof.